There is currently the ESP32Lib Arduino library in the makings. You can find it in the Library Manager searching for “bitluni”. It’s still work in progress but it already provides some simple examples. I have used R=150 at the end. That’s at the current limits of the pins but R=1000 was dark on another monitor. 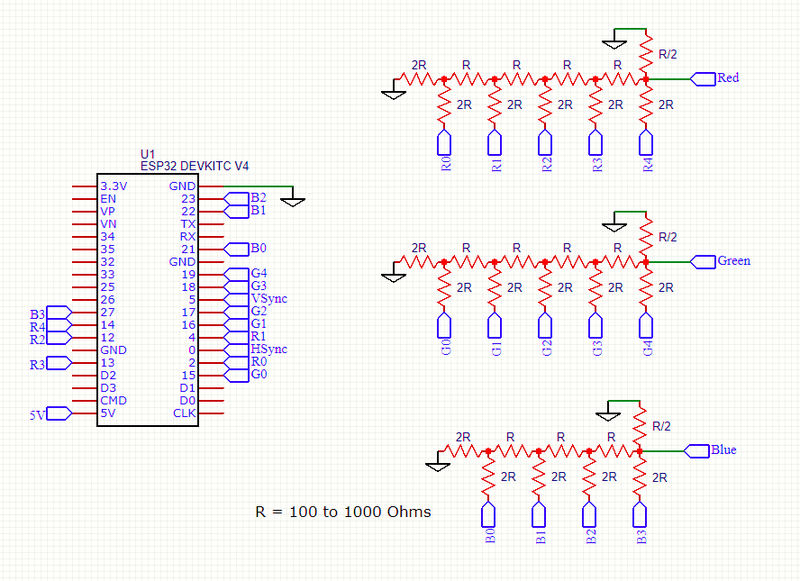 I you don’t want to use the resistors just connect R4, G4, B3 directly to the R, G and B of the cable. You will need the ESP32 board support installed in the Arduino IDE.